Welcome to A Sampling Bee! 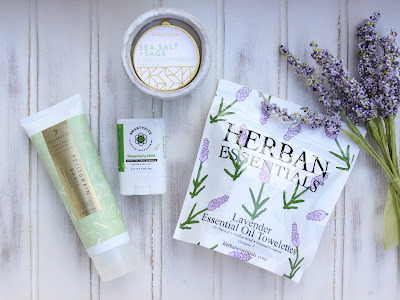 Today, I am sharing with you my review for June's Degusta Box USA! Degusta Box is the best snack/food subscription box out there. The box contains 9-14 full-sized products each month. Every month's box is a complete surprise. You do not know what's inside until it arrives at your door step! Degusta Box USA costs only $19.99 a month! So, if you love snacks, drinks and meal prep items, subscribe to Degusta Box! True Citrus is perfect for water, tea, smoothies and recipes. True Lemon is free of any sugar, zero carbs, no artificial sweeteners, no artificial colors, no preservatives, no sodium and is gluten-free. 1 packet of True Lemon = 1 lemon wedge. 2 packets = 1TBSP of lemon juice. This month contained a wide variety of products! I really enjoyed sampling each one of them. A few of which I have tried before. But, it was great to enjoy them again. The shortbread cookies are SO good! I love them because they melt in my mouth and go really well with tea or coffee. I love Goya's products. Their Beans are great for soups, chili, salads and nachos. I loving using their corn tortillas to make yummy tacos. The seasoning is new to me, but I like it a lot! I have tried the cinnamon sugar chips before and I was happy to see them in this months box. I cannot even tell that they are made from rice and quinoa. They're lightly sweetened and oh so good! Zolli Pops- my kids love them! These are great because I can throw a few into my purse and allow my boys to enjoy a healthy lollipop on the go. I love that they help keep their smile fresh and bright! Tickle Water is the coolest idea for sparkling water! My boys loved the watermelon flavor. A great beverage for them to enjoy on a hot summer day. Mutti Tomatoes are my favorite tomatoes to use to make homemade sauces and tomato soup. Their tomatoes are really flavorful and great for so many different recipes. I have been using True Lemon for a while now and I love to add a packet or two to my ice cold water. I also use True Lemon when making my favorite Lemon Loaf! These packets make it a lot easier to enjoy lemon. No squeezing! I have also had That's It Bars before and I love them, too! It's so good to know that their bars are made with natural fruits and veggies. Low in calories, too! They make a great snack or breakfast! I love the zesty kick to this That's It Bar. So good! My kiddos enjoying their Zolli Pops! Click my affiliate link below to save $10 off your first Degusta Box! 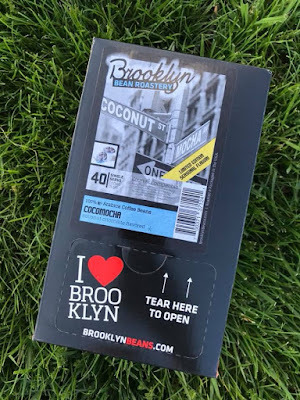 Brooklyn Bean Roastery's Cocomocha Coffee Review + Giveaway! Welcome to A Sampling Bee! Raise your hand if you love an amazing flavored coffee! 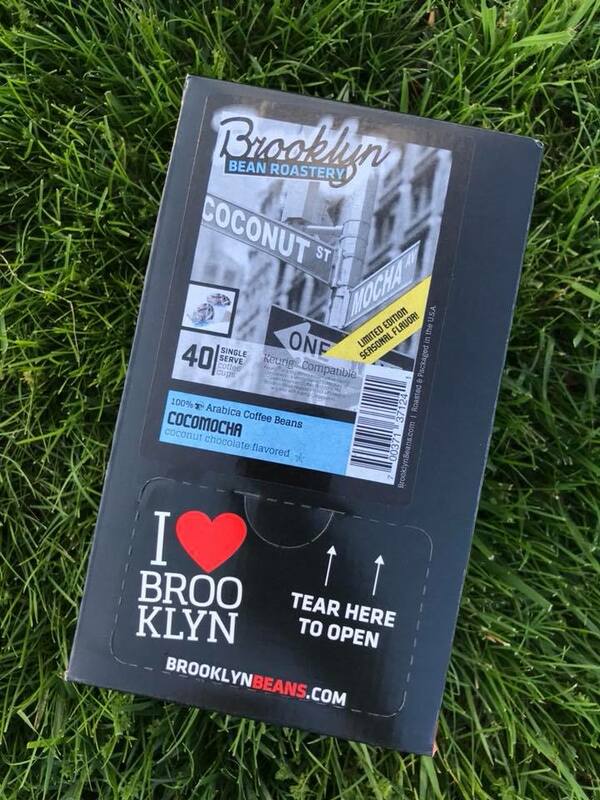 Meet Brooklyn Bean Roastery's Cocomocha Coffee! This flavor is a seasonal flavor that is only available in the summer. Cocomocha is a delicious mix of creamy chocolate and sweet coconut. 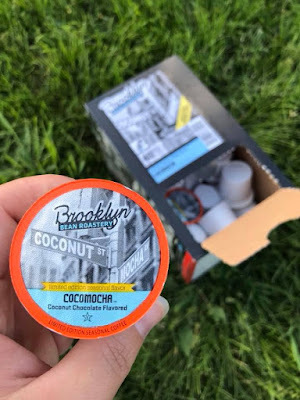 Cocomocha Coffee from BBR, comes in convenient k-cups. This way, your favorite BBR Coffee can be enjoyed anywhere! Just remember to recycle! Brooklyn Bean Roastery was founded in 2010. They select the highest quality beans from all around the world to make their amazing coffee. Then, they slow roast their coffees to give them a robust flavor. The carefully balanced roasting process creates aromatic, authentic tasting coffees and brings out the finest flavor in each bean to produce an exceptional cup of coffee. Their coffees are roasted right in New York. BBR's goal is to provide a great cup of coffee that reminds you of the sights and sounds of Brooklyn. Brooklyn Bean Roastery is a part of the Two Rivers Coffee family. I received free BBR Coffee in exchange for my blog review. All opinions are my own, always! One winner will win a 40 count box of Cocomocha k-cups from Brooklyn Bean Roastery! Entries will be verified. US only, please! Welcome to A Sampling Bee Blog! Today, I am sharing with you Farm and Oven's Bakery Bites! As we all know, we need at least 5 servings of veggies, in our diet, everyday. Why not get them deliciously? Farm and Oven's mission is to make amazingly crave-able foods that make healthy eating joyful. Each Bakery Bite serving- 3 bites- contain 40% of your daily veggies! Farm and Oven's Bakery Bites are the tastiest way to get your veggies! Left to right: Pumpkin Maple Pecan, Beet Dark Chocolate, Carrot Cinnamon & Zucchini Lemon Poppy Seed. The Bakery bites do not contain ant artificial flavors, colors or added preservatives. They are sweetened with Vermont maple syrup. The Bakery Bites contain the probiotics Bacillus Coagulans & GBI-30 6086. I love Farm and oven's Bakery Bites because they are all natural, healthy and because they are so flavorful! These Bakery Bites have a moist, soft texture. They're full of yummy veggies and I love that my kids don't even know it! I have two picky eaters at home and I cannot get them to eat enough veggies. I love enjoying my bakery bites with a hot cup of tea or coffee. They make a great breakfast, snack and even a great dessert! My favorite flavors are the Carrot Cinnamon and the Pumpkin Maple Pecan. The Carrot Cinnamon bites taste just like carrot cake. I am in awe by these bakery bites. They are absolutely delicious! I received Farm and Oven Bakery Bites in exchange for my honest review. All opinions are my own, always!